Shining Lotus: Have You Ever Seen Anything Like This? 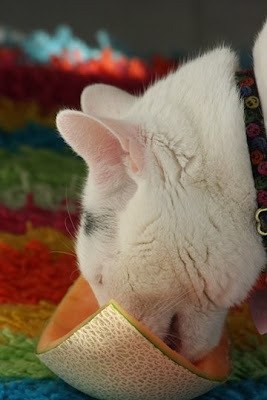 This is The Mr. licking on a melon rind. One day, 8 years ago or so, I was cutting a canteloup and The Mr. noticed and started going crazy whining. He liked the smell so I gave him a little taste and he loved it. 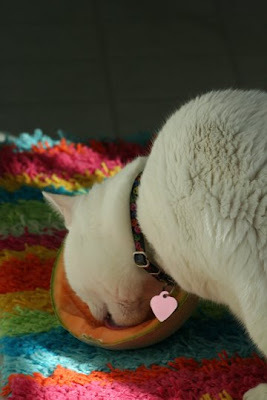 So when I cut melon I give him the leftover rind to lick. Here he is in melon ecstacy.